My brother actually made a similar comment about them being backwards dressing gowns when mother got me one for Christmas (can I please clarify it was not asked for!). But then my sister-in-law promptly told him you wouldn’t put a dressing gown on over the top of your clothes (which you may still have on when needing use of the slanket). So I’m trying to justify that part. Though I think I maybe failed. Hehe, I knew you would post a rant about this at some point! In my defence, I didn’t *buy* my slanket. I don’t think I could actually pay money for this thing. 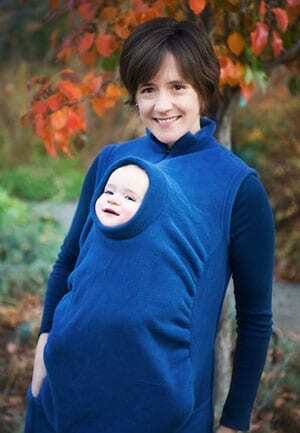 I do like it though, it’s very snuggly and warm! .-= Zoe Corkhill´s last blog ..Introducing me.zoecorkhill.co.uk =-. I love my Slanket and I don’t care what anyone says! They are warm and cosy and snug! I saw these for sale in Asda the other day and nearly died laughing. The ‘siamese’ one is just wrong. I can understand if you’re a student or old person and can’t afford to have the heating on or something, but just put a jumper on instead?? .-= Laura´s last blog ..FOTD and No7 concealer trio swatch =-. I love my slanket too, though I got it as a gift. I can see what you mean about the backwards dressing gown / Ã‚Â£5 fleece blanket thing, though in its defence it is much thicker and nicer fabric than the average Ikea fleece blanket, or any I’ve bought anyway. I agree they should be cheaper though! I would just like to say that I am 100% with you. On Slankets, on Uggs, Rah Hair, Crocs and pretty much everything else. .-= Harriet´s last blog ..Inspired by Fearne Cotten =-. Re. the smug people under the double rug: are you sure there isn’t someone else under there too? What’s that arm resting on? They’re not that close, and he’s smiling way too much. I have to agree with you as well – hate Crocs (goddamn ugly even i they ARE ‘comfy’ – have some shoe-dignity!). Uggs aren’t pleasant either. I saw the ‘slankets’ online when looking at sites for Christmas present ideas (sites like Firebox etc that offer all manner of gadgets and novelty stuff) and wondered ‘WTF?’ too. I just don’t see the appeal, personally. .-= Elle´s last blog ..What did I miss?! =-. lamebook hate these things, and I can see why. 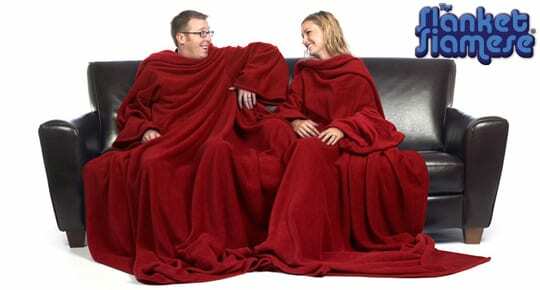 bloody snuggies. That crappy What! shop down the road from dad and marie’s have the cheapassed versions, in oooh, leopard print *VOM*.